For those interested in a special aspect of the cathedral, this tour includes information about how, since before medieval times, pilgrims have been coming to Chartres to experience its healing energy. 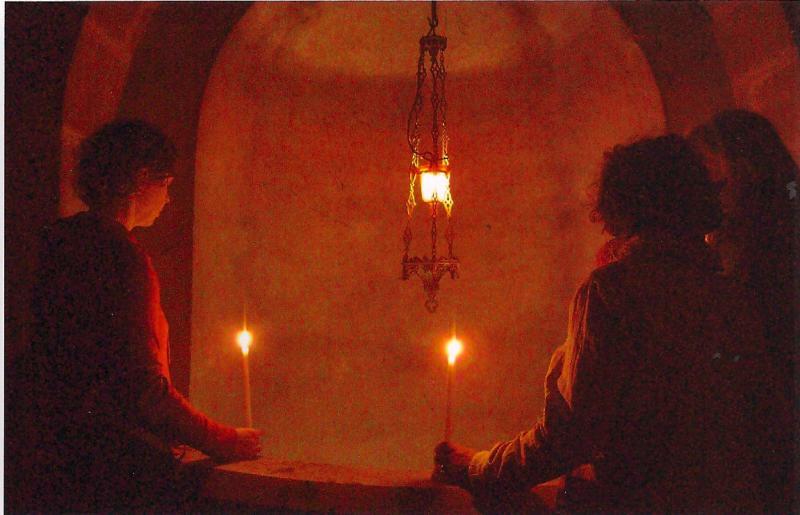 Now, some modern pilgrims continue to use this energy to cleanse, release negativity, work with chakras, and general healing. This tour provides information about the historical and modern aspects of healing at Chartres and how the labyrinth is viewed as a healing ritual, not just here, but around the world. This tour is offered separately from the regular tour. Can be reserved any day of the week, including Fridays after regular Labyrinth Tour. Lasts about an hour and a half. 30€'s if packaged with regular Chartres tour. 40€'s if on Friday afternoon, but not as part of regualr tour, or 50€'s if another day of the week and not part of another tour. Chartres Labyrinth Tours is a division of Labyrinth Experience, a French association started in 2006 to promote labyrinths, and the Chartres Labyrinth in particular. I have been fascinated by Chartres Cathedral and its labyrinth for many years. Labyrinths can be a useful tool for prayer, meditation, healing, and self communication. The cathedral is one of the most beautiful places on earth, and you can't beat the combination of this place and the labyrinth. My tour is unique, and special in that it goes into topics that other tours do not, such as Black Virgins, the history of the labyrinth, and how it is used at Chartres, sacred geometry, transformation and its symbolism at Chartres, the summer solstice and related light phenomenas, the healing well in the crypt and the history of healing here, plus much more. I have lived in Paris for almost 30 years and have a great interest in French art and history, sacred places, and pilgrimage. Divine Feminine walking tour of central Paris. Topics include the history of Isis in Paris, Black Virgins, Mary Magdalene﻿, Notre Dame, etc. (2 1/2hrs). Not completely available at the moment due to a knee problem, but I can offer it in different parts, and design a special tour tailored to your specific interests. I will also be glad to answer any of your questions. Notre Dame de Paris - one hour general tour, including esoteric elements. 40€'s per person. A special tour of Notre Dame coupled with two other nearby churches that have healing fountains, Mary Magdalene stained glass plus more. 50€'s per person. Healing tour of Paris, invoking the body, mind and spirit aspects of healing. 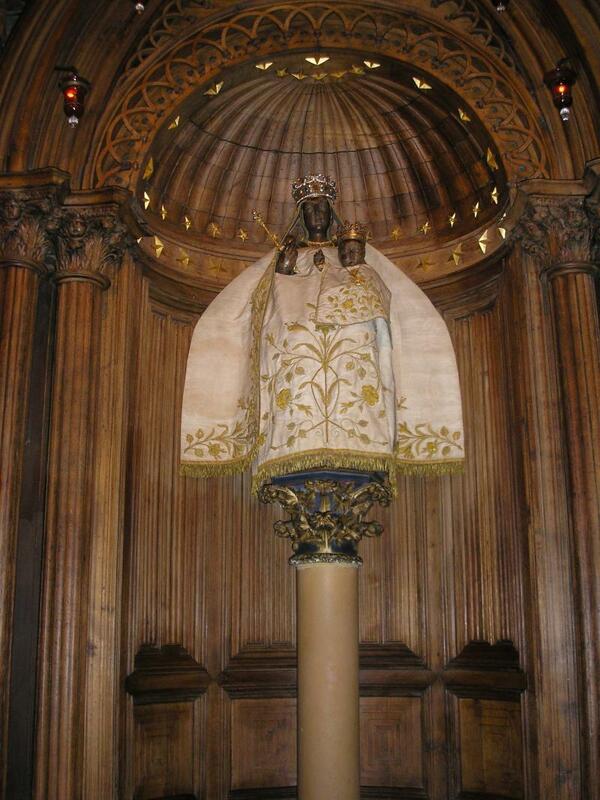 Includes Sainte-Geneviève, the healing Saint of Paris, the angels of Delacroix, and a vespers service. ﻿ Can not be done on Mondays because some of the sites are closed. 50€'s per person. 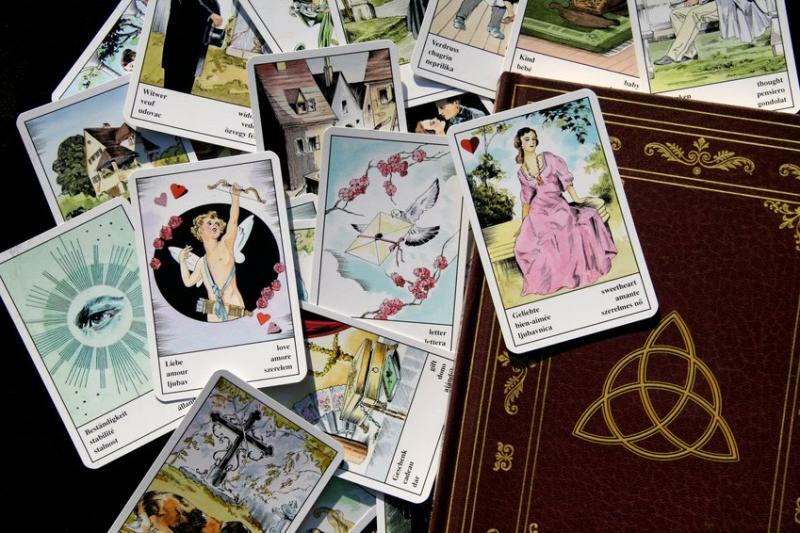 Watch this space for more information about a new offer, a special card reading of the Mlle Lenormand deck. She was one of the most famous fortune tellers in the world during the Napoleonic era. Many people still use and enjoy her cards today. We will visit her grave in Pere Lachaise cemetery and then do a card reading in a nearby Cafe. Copyright Chartres Labyrinth Tours. All rights reserved. Do not use without permission.